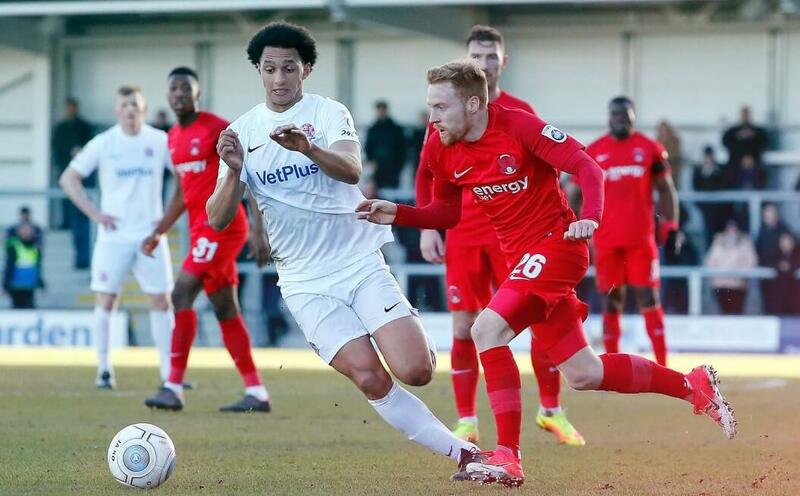 A vital victory away at Fylde by a goal to nil was welcome relief for Leyton Orient as they left Lancashire with all three points against promotion chasing Fylde. A Macauley Bonne first half penalty was enough to win the game and keep the O’s 6 points ahead of the relegation spots but they are still not far enough away from the bottom to feel at all safe. 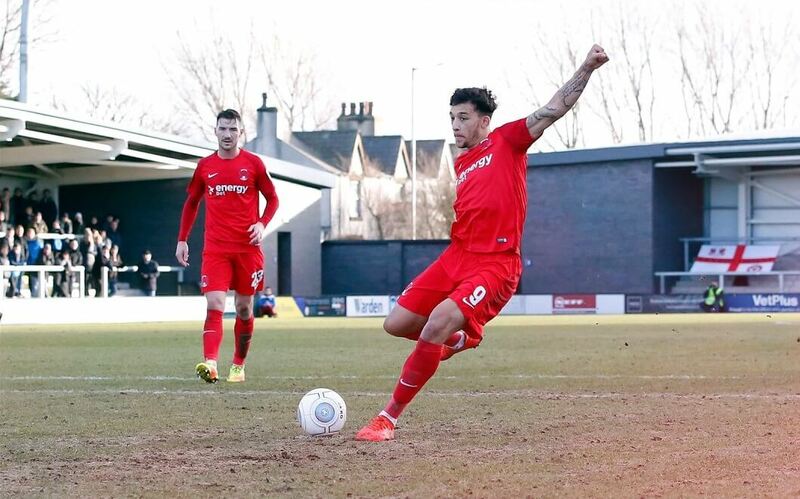 This win though will be a welcome boost for Justin Edinburgh’s men as Bonne’s goal put him on 16 goals for the season second only to Fylde’s Danny Rowe in the National League with 18 goals. Both players were on show in front of a decent crowd of 2,206 up at Lytham St-Annes however Rowe was thwarted by a determined Leyton Orient defence. Orient didn’t make any distance between themselves and the relegation zone as both Chester City and Solihull Moors won on Saturday. Solihull Moors had a superb 3-2 win over high placed Dover Athletic as Chester City stuffed Eastleigh 3-1. The bottom two teams did lose however as Torquay were defeated 3-0 to Dagenham and Guiseley lost at home 3-1 to Maidenhead Town. Guiseley rooted at the bottom will need a miracle to keep themselves in the division now. In context this was a fantastic win for the O’s with Fylde in great form as Fylde boss Dave Challinor went with the same side that had beaten Gateshead last time out and they went close inside five minutes, when Orient allowed danger man Rowe a shooting chance but the frontman sliced his effort from 25 yards narrowly wide. Leyton Orient grew into the game however and Craig Clay was the first to threaten when his vicious volley from the edge of the area was diverted away from goal by Jordan Tunnicliffe. Soon Dan Holman looked to capitalise on Orient’s spell of pressure when he let fly from 25 yards but Fylde keeper Jay Lynch was relieved to see the powerful effort fly inches over the bar. Josh Koroma was proving a handful for the Fylde defence and stung the palms of Lynch from a tight angle, although a cross may have proved more beneficial. Orient deservedly took the lead three minutes before the break when they were awarded a penalty. Simon Grand hauled down Holman and Bonne made no mistake from the spot, lashing the ball into the bottom left corner. His Golden Boot rival Rowe scuffed an effort wide as the half drew to a disappointing end for Fylde, although the home side came out for the second period with a renewed sense of purpose as Zaine Francis-Angol tested Orient’s Brill with a strike from the edge of the area. Then Rowe was presented with another chance with an inviting shooting position 20 yards from goal after Jones had been impeded but the striker’s free-kick flew a foot wide. At the other end Koroma was allowed far too much time and space on the hour as he raced from his own half to the bye-line before seeing his low cross-shot blocked at his near post by Lynch. Bonne had a glorious opportunity to double Orient’s tally when James Brophy burst into the box from the left and fizzed the ball across that was inches out of their top scorer’s reach. Then Clay dragged a shot wide from Bonne’s cut-back as the visitors continued to enjoy the better of the action and they should have scored 10 minutes from time, when Brophy picked out Holman on the penalty spot in plenty of space but the ball ran over Holman’’s foot to safety. With Orient in control Bonne nodded just over from 10 yards but Fylde could have nicked a point from the game in the dying seconds, when a ridiculous goalmouth scramble eventually fell to Henry Jones but his shot on the turn was blocked on the line. Fylde remain in the final play-off place despite a poor afternoon, while the ‘O’s also saw Barrow and Hartlepool win below them to ensure they are are not out of the danger zone by a long way yet.